My mum makes the best (non vegan) chocolate mousse in the world so when my mate Marta, who’s allergic to dairy told me about this vegan chocolate mousse, I confess I was a bit unsure. Tofu and chocolate, reaaaally? I’m so glad I gave it a go because it’s SO good! I’ve tweaked it a little bit by adding some maple syrup and cocoa powder. The last batch turned out perfect so I thought I’d finally share it with you. Oh and it’s super easy to make! 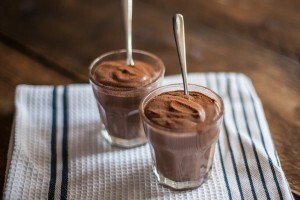 Amazing dairy-free (vegan) dark chocolate mousse recipe - super easy to make, no one will believe it's vegan. Don't try to sub the Silken Tofu with other types of tofu as it really won't work. I like to use Clearspring's Organic Silken Tofu. Place water in the bottom of the double boiler so the top of the water is 1/2 inch below the upper pan. Then place the double boiler over low heat. Stir the chocolate constantly until it is melted. The water in the bottom of the double boiler should not boil while the chocolate is melting. 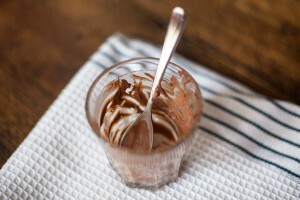 Transfer the melted chocolate to a medium bowl together with all the remaining ingredients. 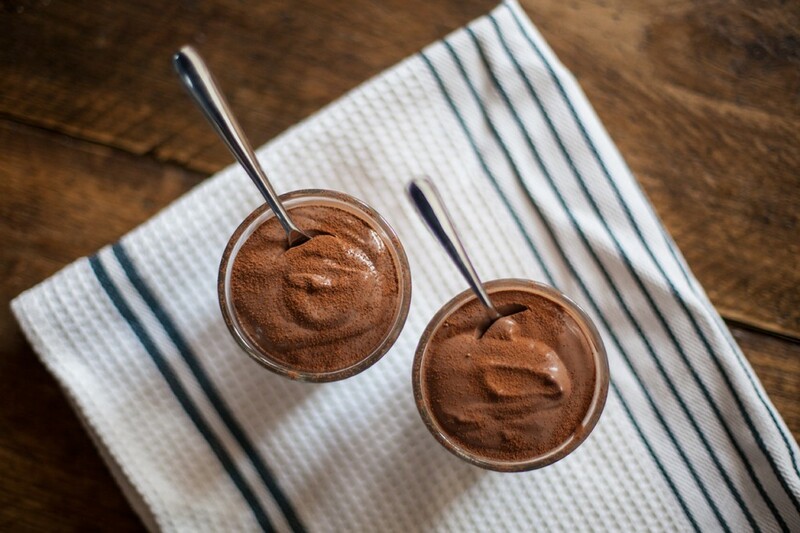 Blend everything until smooth (you can also use a food processor if you prefer). Divide the mousse into little bowls or glasses, cover and refrigerate for at least 1 hour - I prefer to make this one day in advance as the mousse texture gets even better. This is so interesting! 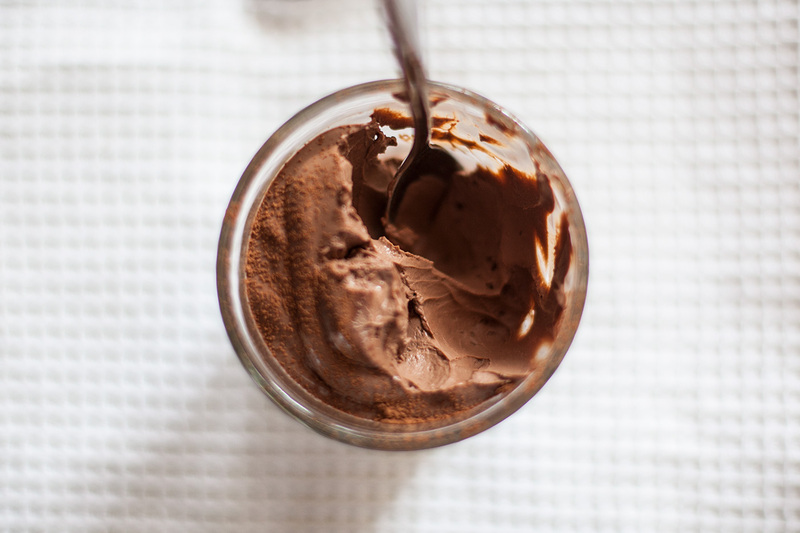 I love any healthy variation of desserts, especially chocolate ones :). I definitely want to try this!